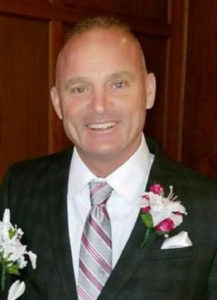 Martin Allen Nonella, 54 of Ashland, NE passed away March 28, 2019 in Ashland. He was born June 28, 1964 in San Rosa, CA. Marty was free-spirited and lived life to the fullest. He is survived by his children, Adrein, Cortney, Josh, Mikayla, Isaac, Tyler and Paige; sisters, Vanessa, Heather, Mikey (deceased) and Jessie; grandchildren and nieces & nephews. I’m so glad I met Marty. He always had something funny to say, such a good spirit! My prayers go out to his family and friends. Peace be with you Marty! We love you Marty! May you Rest In Peace.